This outing will definitely be a fun one with lots of fun activities. You will get to learn about different types of photography & videography too. Year 2 & 3 members, please indicate if you would like to be a Group Leader (GL) in the form. Take note that it is the Tanglin side of the garden, not the Bukit Timah side. If you're lost... errr. Give me a call at 96288712 *cross fingers* haha! KINDLY BE THERE AT 8.30AM, AND DO FACTOR IN TIME TO FIND YOUR WAY AROUND THE GARDEN. Please note that we WILL not be loaning out cameras for this event. You can use your handphone camera if you dun have a compact. Hey! 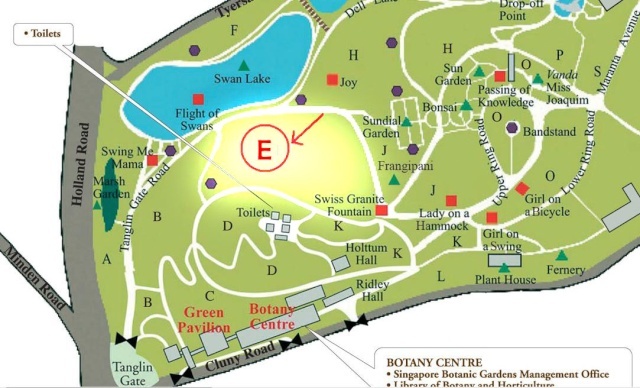 Where exctly do we meet up for the outing this sat? I have a fellow NP Photography friend who hasn't sign up for the event but is willing to come. Is that possible? yup bring your friend along! but always bring an umbrella and a few plastic bags to wrap up the camera in emergency. And zip lock bag for underwater shooting (j/k, please don't try it without insurance). er, the SBG management actually DONT ALLOW setting up of tents. haha.